Trying to fit everything into a carry-on roller bag was like putting on a girdle. Oh, i could do it if i were only taking clothes. There’s not many of them. It’s the hostess gifts and the books that put me over the top and into the check-your-bag size piece of luggage. 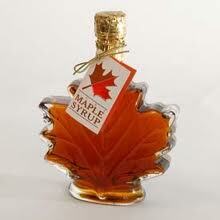 A trip to the nearby Vermont maple syrup store yielded 2 ounces of maple syrup in glass maple leaf bottles. How cute is that! Maple hard candy and maple taffy! I’m a sucker for local products, including the hand-painted Vermont magnets with fall foliage and white birch trees. And books! I mostly take paperbacks that i can leave wherever i finish reading them. I’ve been collecting a stash of my favorite mysteries set in Laos, starring Dr. Siri, a 73-year-old Communist (and only remaining doctor in the country in 1975), who has been assigned as coroner of the country due to his irreverence. So i’m checking my bag with hopes of seeing it again upon arrival in Bangkok. This entry was posted in DHARMA REFLECTIONS on January 15, 2013 by cherylwilfong.